Say “I Do” in our historic Muskoka venue. 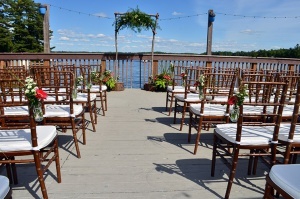 The Kee to Bala offers great views and space for all your guests to have a good time. This unique setting will surely make your special day more memorable. Take in the picturesque view of Lake Muskoka while perched 20 feet above Bala Bay on our natural wood deck. Your guests will be amazed by the view during the ceremony. Our main floor boasts 3000 sq. ft. of space for dinner and dancing while the stage offers another 800 sq. ft. 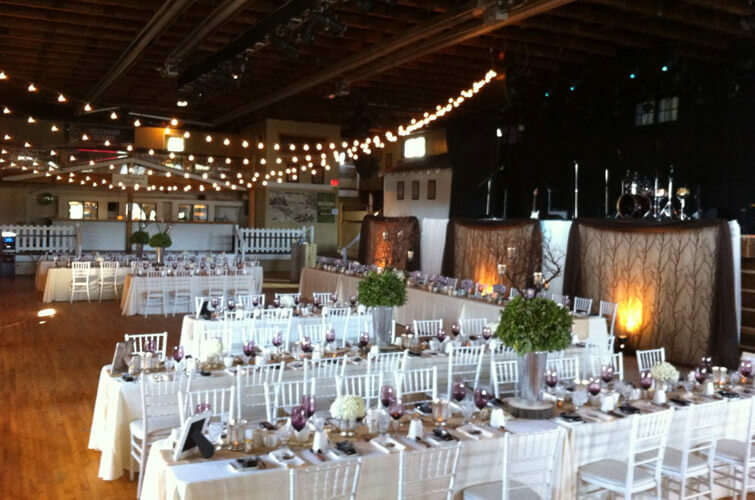 The main floor can host up to 250 people with a dance floor or 350 people without. prep kitchen area with ample cold storage. I’m often involved in finding the perfect wedding venue for couples looking to get married in beautiful Muskoka. They are completely surprised when I mention The Kee to Bala as one of their many options. If you’re looking for a unique space with lots of charm, history and character on the water with amazing photo opportunities, this is a great space. If you’re looking for a unique space with lots of charm, history and character on the water with amazing photo opportunities, this is a great space. The staff are very helpful and having run of the entire space gives our clients lots of options when it comes to how their wedding guests will use the space on their special day. boat in to your ceremony or cocktail hour, leave by boat at the end of the day or go off site for photos. personalized event signage like using the historic marquee sign to the traditional KEE posters to actual Kee to Bala tickets to send with your wedding invitations. an experienced sound and lighting crew to work with your DJ or Band, not to mention booking experience if you have the budget to bring in a big act! (we had Alan Frew of Glass Tiger perform at one of our weddings!). 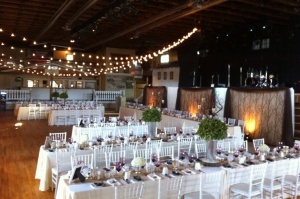 iconic Muskoka venue to get married at – from the well-known exterior of the venue to the stage and bars inside. 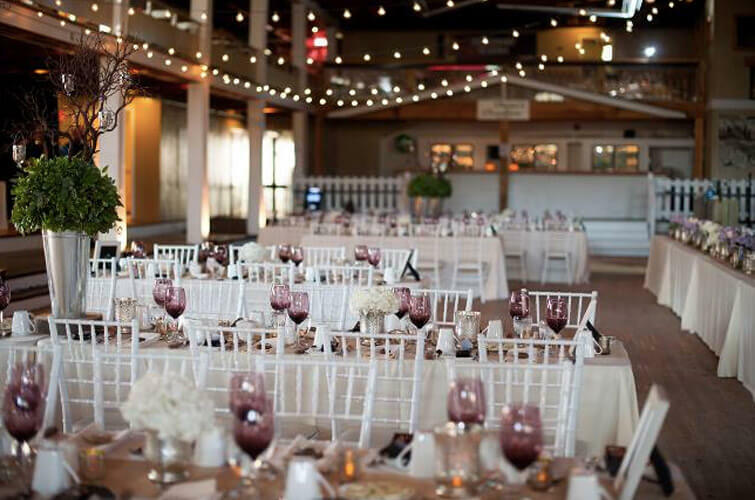 accommodations nearby, lots of catering options in town and in nearby towns, experienced shuttle services in the area for your guests to safely get to and from the weddings, churches and more. overall a blank canvas to dress it up as much or as little as you wish! I personally love working in this space. There is a lot of work to do for our clients in terms of bringing in rentals, facilitating the set-up and teardown on top of managing the wedding plans, but it is worth every extra ounce of energy when we can be there to make the process more enjoyable for them! From the moment I pull up and walk into those doors with a client, I know that we have an exciting challenge ahead. It is so neat to hear the reactions from invited guests as they approach the venue remembering (or not remembering) their own party nights at The Kee to Bala and wondering how the heck someone is going to have a wedding there. We do it. We surprise them every time. The feedback is incredible. I know even my own team, the girls have said “I would have never considered The Kee” and by the time I finish talking about how much history is in the space and how the greats would come and jam here and families and friends would gather every summer to dance and enjoy music they get it. It’s a feeling. This venue gives me goosebumps when I can walk across the stage and look at all of the spiking tape on my way to add drapery to a section, or to string romantic lighting, or when the florals are delivered and we start placing the little details on the table. I love The Kee to Bala and what they offer engaged couples looking for a unique, authentic Muskoka experience. I can’t wait until our next one!